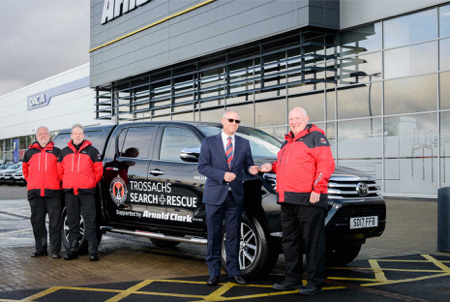 On Monday 4 December 2018 Arnold Clark, Scotlands largest car dealership group donated a new Toyota Hilux Invincible to Trossachs Search and Rescue. 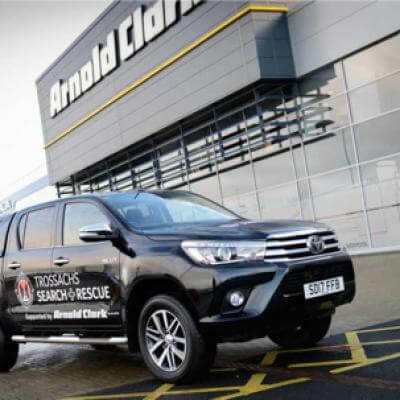 Three team members arrived to collect the new lifesaving Toyota Hilux at Arnold Clark’s Head Office in Hillington and the keys of the new vehicle were handed to Stuart Ballantyne, Chairman by Andrew Marshall, Arnold Clark Toyota Franchise Manager. 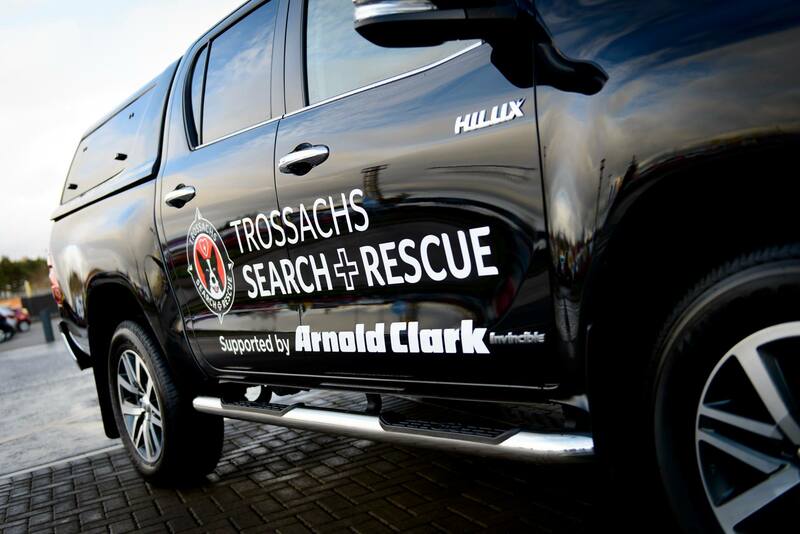 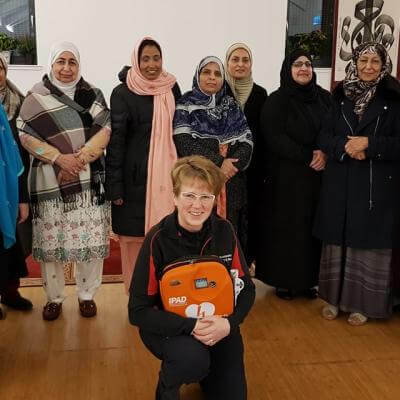 Within two hours of receiving the new vehicle, it was fully kitted out with a full First Responder medical kit including a defibrillator and oxygen bottles, a tracker which allows the Ambulance Control Centre to track and dispatch the vehicle to incidents, as well as a rescue stretcher, splints, lifejackets, throwline and torches AND within five hours the vehicle was on duty supporting the Scottish Ambulance Service, NHS Forth Valley and the local communities. 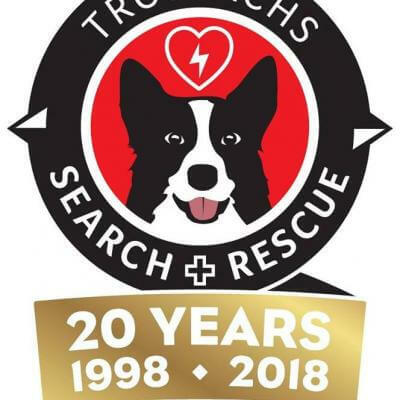 Two dog cages also enable the team to transport our Urban Search and Rescue (USAR) dogs, which are called upon by the Scottish Fire and Rescue Service and other agencies to locate people who are concealed under rubble from collapsed buildings, heavy snow, and missing people in general for example our specialist search dogs operated at both the Stockline factory collapse and the Clutha Pub tragedy in Glasgow. 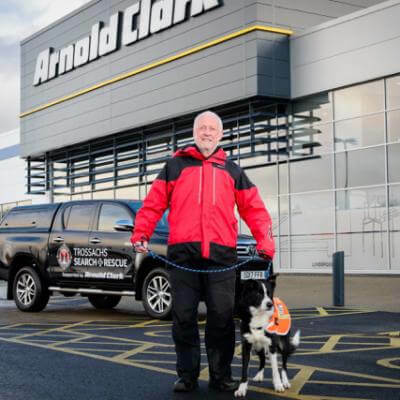 Our relationship with Arnold Clark started back in 2015 when our existing 4x4 vehicle suffered a mechanical failure and Arnold Clark immediately offered a loan of a Hilux after seeing our posts on social media." 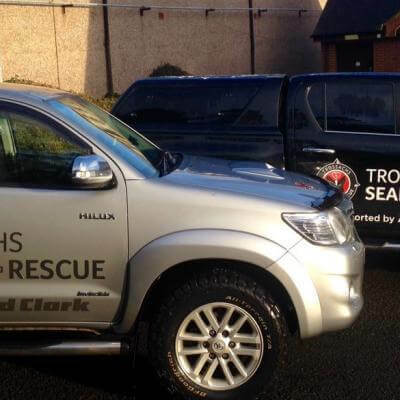 The 'loan' turned out to be the donation of a Toyota Hilux Invincible in May 2015, and which has served us well daily. 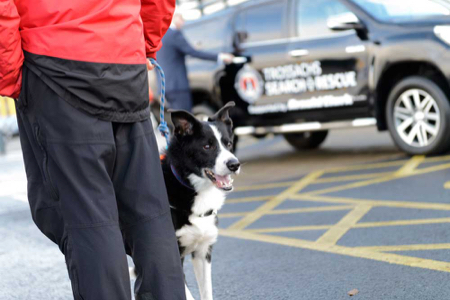 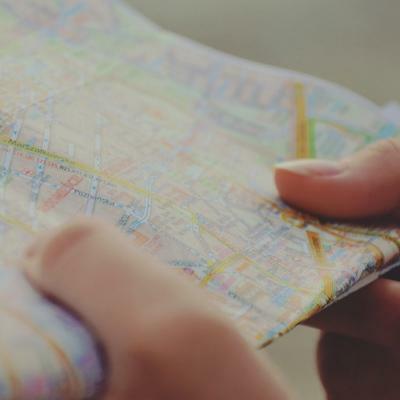 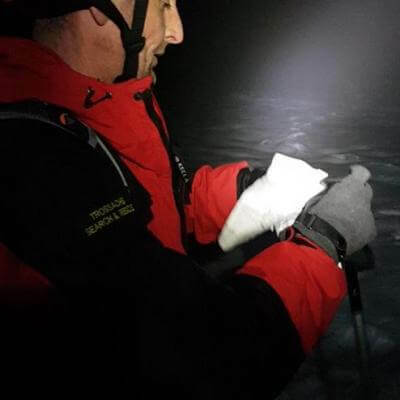 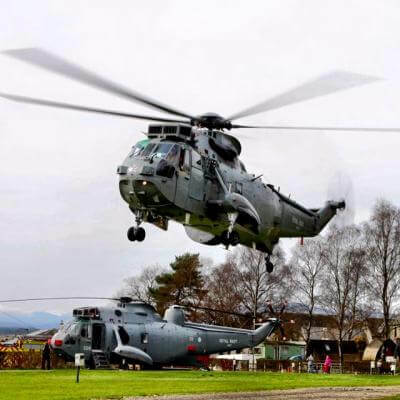 It proved its worth in two long-range searches to the Outer Hebrides in the Spring of 2016, where we visited six islands assisting HM Coastguard in searches of wild coastline for a missing fisherman over a period of two weeks. 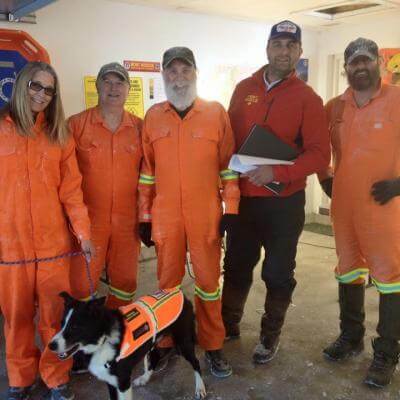 The vehicle safely carried four members, three search dogs and necessary rescue equipment. 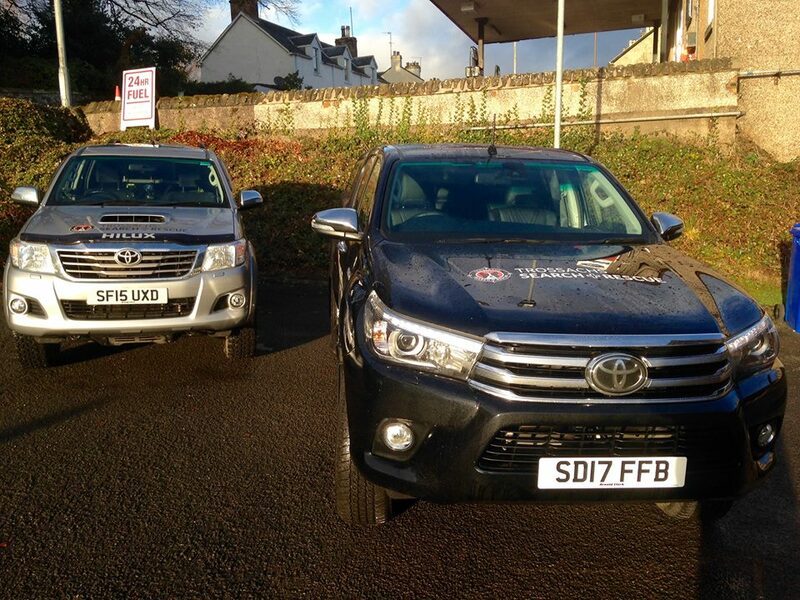 That vehicle recently passed 40,000 miles and had new tyres fitted in preparation for this coming winter. 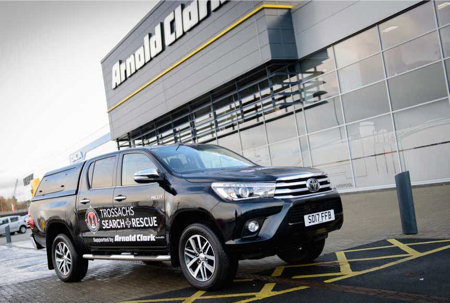 We were taken aback when Arnold Clark made us an amazing offer: they wanted to donate a second Toyota Hilux Invincible crew cab to us, to enable us to provide even more support to our local rural communities. 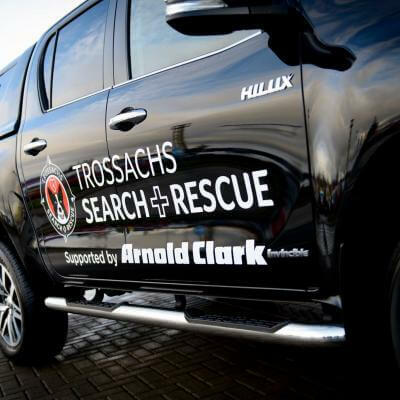 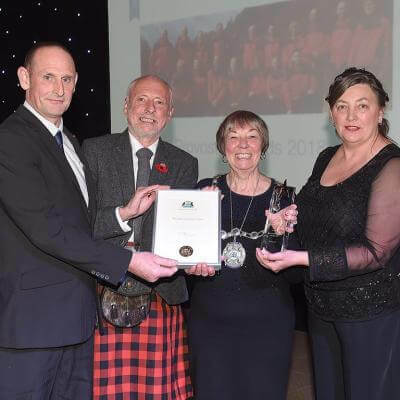 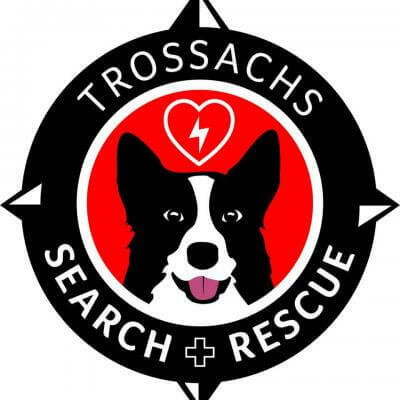 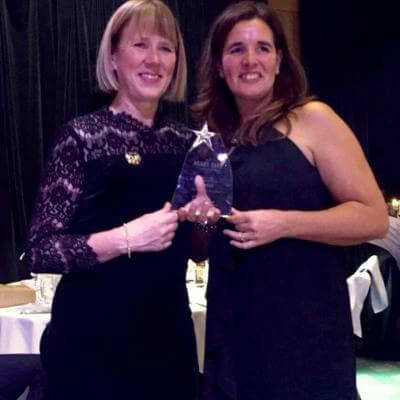 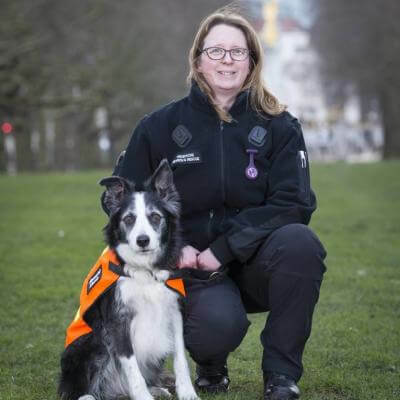 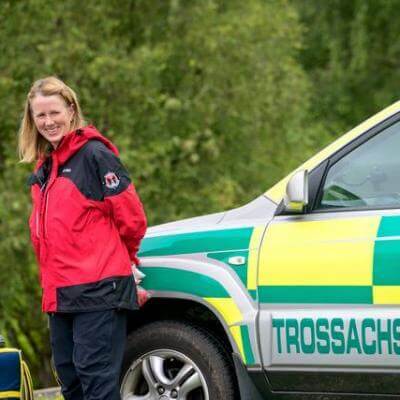 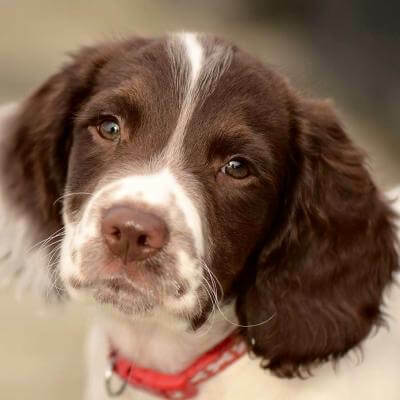 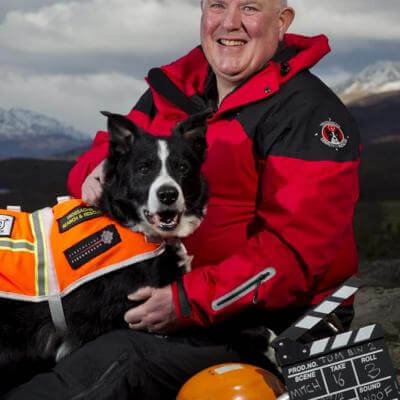 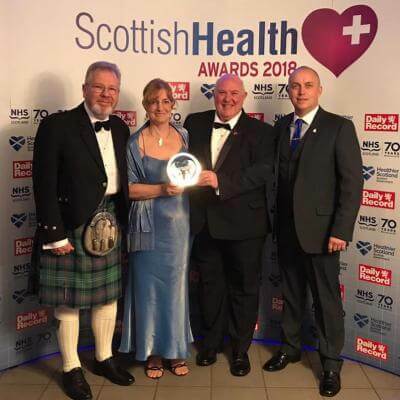 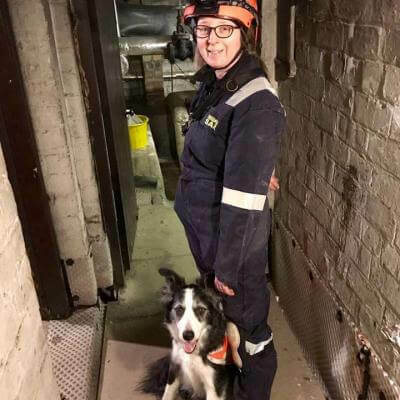 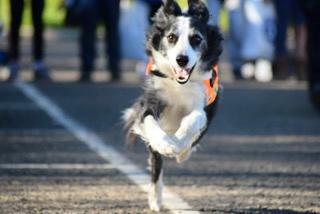 Trossachs Search and Rescue Team value the support we have received these past two-and-a-half years from Arnold Clark and know that people in our rural communities do as well. 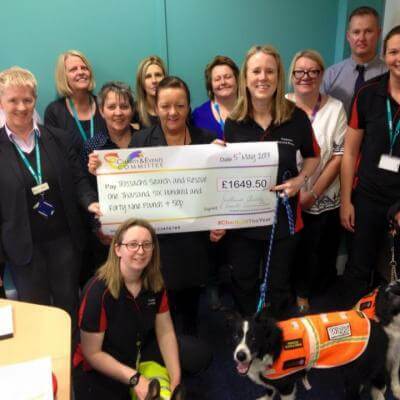 In fact, without their support, we could not provide anywhere near the level of support we currently do. 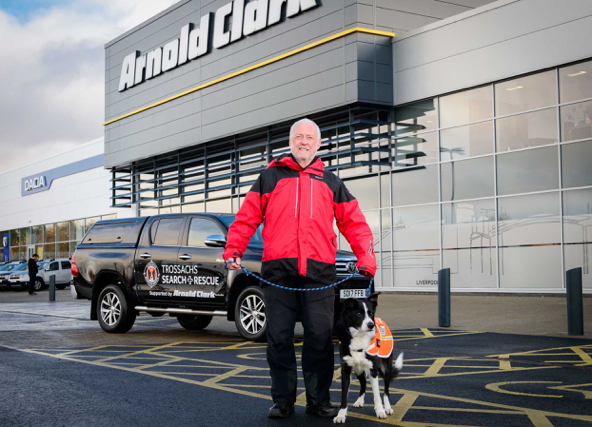 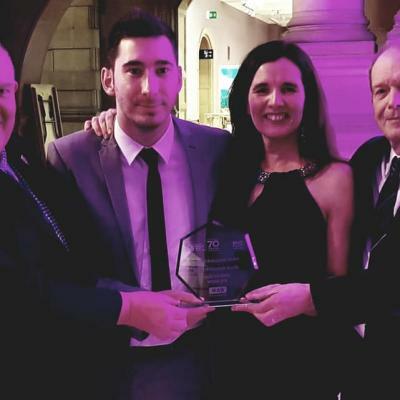 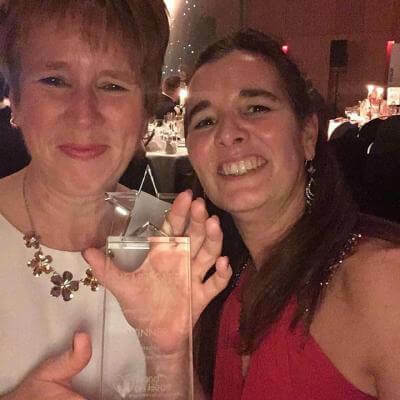 All staff at Arnold Clark Head Office and branches make us feel as if we are part of their big family and really go out of their way to support us. 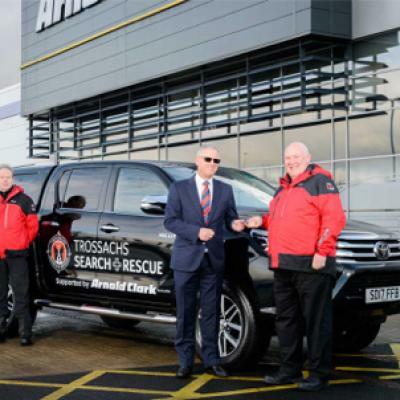 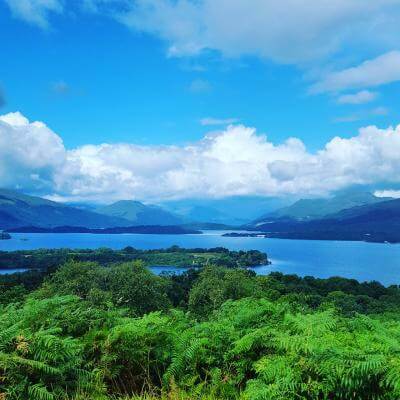 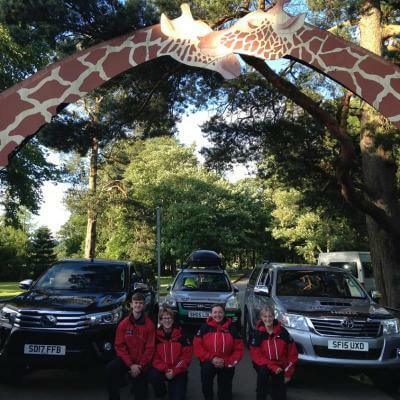 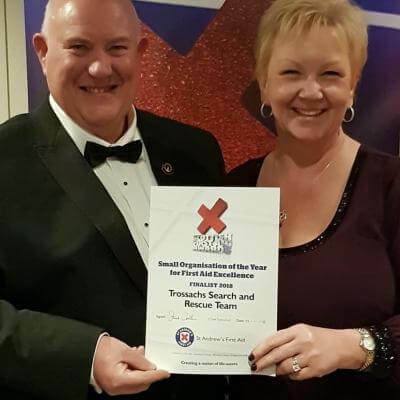 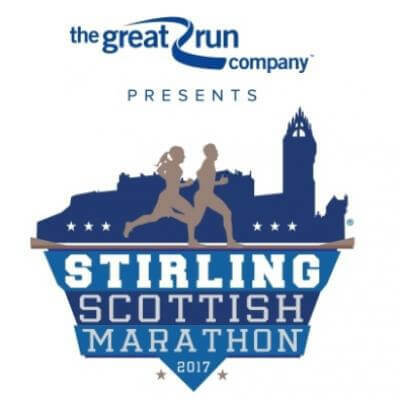 Andrew Marshall, Arnold Clark Toyota Franchise Manager added "We’re delighted to continue our support for Trossachs SAR Team. 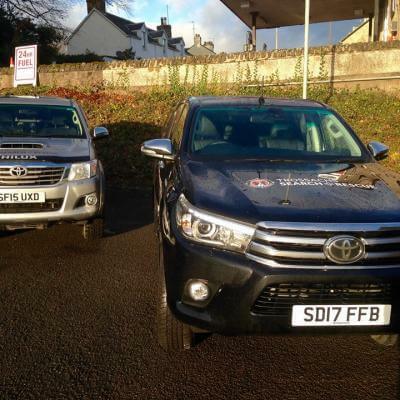 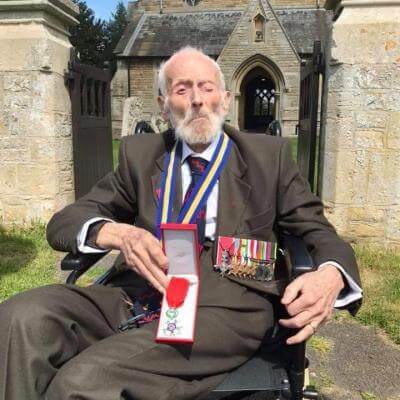 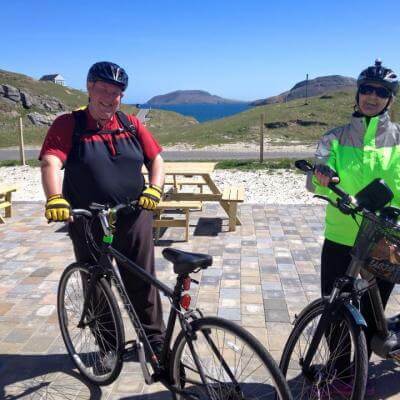 They provide vital services and it’s crucial they have the right vehicle for the job."